How fast can 25 years go by? 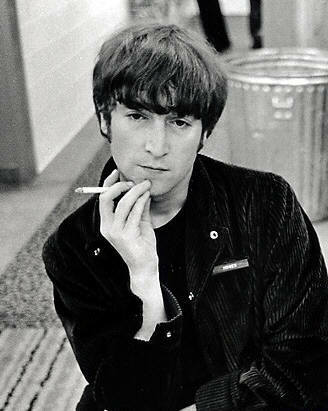 In my mind, John Lennon's murder is still the single biggest ripoff/crime/tragedy in the history of rock misadventures. I remember watching Monday Night Football the evening Howard Cosell reported that Lennon had just been shot. After ten straight years of rock gods falling from the skies in planes, electrocuting themselves, choking on vomit, "accidentally" blowing their brains out, or just checking out in general, my first reaction upon hearing the news was complete disbelief. "Give me a break, no freakin way, he didn't go like THAT!" John Lennon was a guy who had survived the darkest recesses of his own self-destructive tendencies. He was an absent father and husband who had finally come to grips with so many addictions and expectations, the kind that would crush any random ten men. In a rock landscape littered with icons, Lennon was its single, most powerful conscience, committed to doing the right thing in the face of overwhelming odds. He was nobody's false idol. If Paul McCartney could hold up a mirror to a parallel universe, one where everything he represented was reflected back to him in opposite perspective, like a photographic negative, surely the image would be John's. Two famous videos that display Lennon's intimidating presence and cool come to mind. The first is the widely circulated clip from 1966 of Lennon and Bob Dylan in the backseat of a limo. At the time, Dylan was the single most important cultural figure going, a man whose every word was broken down into infinite analysis. But riding next to Lennon, dressed in impossibly natty Carnaby Street ware, a drunk and babbling Dylan comes off like some Midwest hick on a barstool, desperately trying to impress. As Dylan rambles on about nothing in particular, a blasé John stares at him the way Michael Caine might take in a schizophrenic tirade from Charles Manson. "Dear boy, go on with what you're saying, I'm still listening." The other defining Lennon moment, was on the London rooftop where the Beatles played their last gig, for the filming of Let It Be. The documentary captures the disintegration of the group, and even more amusingly, the final flailing of Paul McCartney as their paranoid bandleader. John has already moved on, and seems to be floating on a cloud of confidence and purpose above the rest. He even gets the best and final word in edgewise. "Thanks, and on behalf of the band, I hope we passed the audition." Last night, I was shopping at Amoeba in Hollywood, and the store was playing The White Album. I couldn't believe how vital and revolutionary it still is. At the end of "Helter Skelter," Ringo Starr's disembodied voice suddenly boomed from one speaker to the next in a surround-sound effect, startling the shopper next to me in The Strokes t-shirt and ringing the entire insides of the monolithic structure. "I got BLISTERS on my fingers!..." The words erupted violently, like multiple gunshots going off. "Nothing to kill or die for … and no religion too." Imagine everything we’ve missed in the past 25 years.